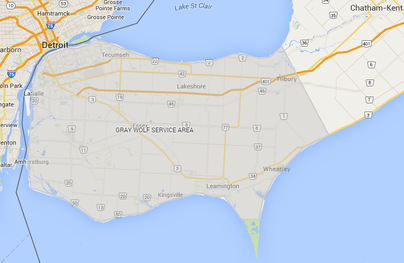 Serving all of Windsor and Essex County Ontario Canada Our Service areas Include: LaSalle, Amherstburg, Tecumseh, Kingsville, Harrow, Mcgregor, Leamington, Belle River and Lakeshore. We service all of Windsor and Essex county for a wide variety of pests including: Ants, Spiders, Bed Bugs, Wasps, Mice, Rats, Earwigs, Boxelder Bugs, Earwigs, Centipedes and many more that can be found on the common pests page. Our service is quick and reliable that is backed with a guarantee!